Club Penguin Cheats by Mimo777 Club Penguin Cheats by Mimo777: Club Penguin Coins For Change Message Reviewed By You! Club Penguin Coins For Change Message Reviewed By You! Hi, I'm soo happy we raised enough coins to donate $2 million to various charities! This is my message... I'm soo happy we could help you. I'm also glad that me, my friends and penguins from around the world could help people like you to have safe places to rest, live and learn. The best Christmas present I had, was knowing that my coins would make someone else happy, that, I feel, was the best present of all! Giving IS better than receiving! We can change the lives of others by our actions, and Coins for Change is a way to do it. 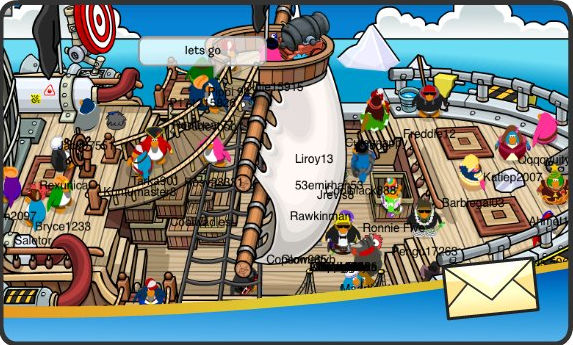 In other news, with Rockhopper's Quest going on now, Club Penguin wants to know what your favorite part of the Quest is so far? Remember, if your Review is chosen, you will get 10,000 coins! Woot! Yo Mimo777 how you doing? Yo Mimo777 im one of your BIGGEST FANS!! My name on CP is 9enguinguide. Please Add me :) Ill really appreciate it. I really liked rockhoppers quest. My favourite part was discovering the hall of the viking lords. Sooo creepy.